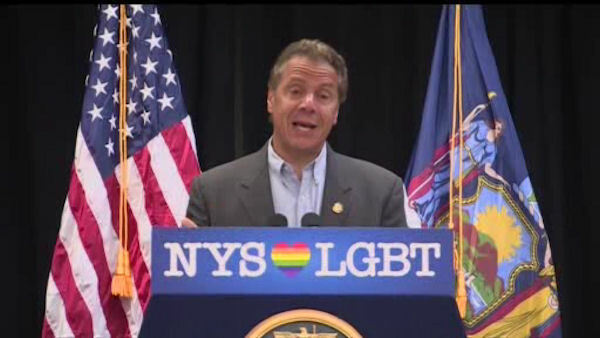 NEW YORK (WABC) -- New York Gov. Andrew Cuomo is proposing raising the minimum wage to $15 per hour for all workers in the state. On Monday Cuomo joined advocates, labor, elected officials and workers at a Manhattan rally to launch the Mario Cuomo Campaign For Economic Justice to make New York the first state in the nation to enact a $15 per hour minimum wage for all workers. Cuomo's proposed statewide minimum wage increase would be phased-in, fully taking effect by December 31, 2018 in New York City and July 1, 2021 for the rest of the state. State lawmakers are expected to debate that proposal during the 2016 session, which starts Wednesday in Albany. The governor also announced an executive action to raise the minimum wage for nearly 30,000 state university workers to $15. The plan would affect about 28,000 employees of the State University of New York system. Cuomo spoke at the headquarters of Local 1199 SEIU, the powerful health care workers union. The state's base minimum wage rose from $8.75 to $9 on Thursday. Cuomo wants to gradually raise the hourly wage to $15 for all workers, which would be the highest state wage in the nation.